The Nigeria Centre for Disease Control (NCDC) says there has been a general decline in the number of new cases of cholera in Nigeria within the last four weeks though cases are still being reported in eight states of Adamawa, Bauchi, Kano, Katsina, Zamfara, Kogi, Plateau and Kaduna. In a statement signed by its CEO Dr. Chikwe Ihekweazu, the centre disclosed that there has been no cases reported from Anambra, Nasarawa and Yobe state during the period. He disclosed that a total of 186 deaths and 16,008 suspected cases had been reported from 16 States since the beginning of the year. The statement also highlighted the response of the centre and partner agencies to the outbreaks saying the focus has been on improving access to water and sanitation in the affected States. “In addition, vaccination campaigns led by the National Primary Health Care Development Agency (NPHCDA) have been carried out in the most affected Local Government Areas (LGAs) in Adamawa and Yobe States. 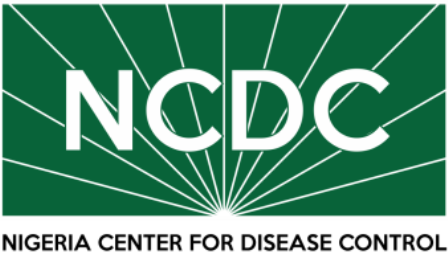 “In response to the outbreak, NCDC with support from its partners activated an Emergency Operations Centre (EOC) to coordinate the response. Rapid Response Teams were deployed to affected States, where they focused on improving coordination, case management, risk communications and surveillance activities. The Teams also supported the States in strengthening their laboratory capacity to guide interventions, especially oral cholera vaccination campaigns. “The water, sanitation and hygiene (WASH) component of the response, led by the Federal Ministry of Water Resources (FMWR), has provided motorised solar-powered boreholes, sanitation units with hand washing facilities, as well as blocks of latrine compartment in affected States. Nigeria is also working with other Lake Chad basin countries to strengthen cross-border collaboration for cholera control. “The major challenge leading to outbreaks of cholera is poor water and hygiene facilities in many States. 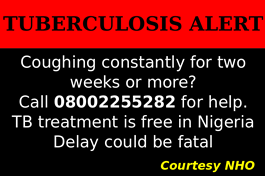 “This has contributed to the spread of the disease and yearly outbreaks in many States in Nigeria. States are encouraged to prevent cholera outbreaks by improving access to WASH. This remains the best way to prevent cholera. The NCDC and partners have begun plans for a national cholera prevention campaign, prioritising States with the highest burden. This campaign will be driving prevention messages through the mass media, new media and community structures to reach households and communities. “An oral cholera vaccination strategy is also being developed by our sister agency, NPHCDA. This will not only help to prevent the further spread of this outbreak, but will also help the prevention and preparedness for any future outbreaks. “The Federal Government of Nigeria and partners will continue to work to reduce the impact of the current outbreak on affected communities and ensure that the outbreak is fully controlled. “Planning has already started to prevent future outbreaks and ensure better preparedness,” the statement further assured.